Enjoy an unforgettable wedding day here at Clock Barn, a traditional, family-run wedding venue in Hampshire, full of history and character. 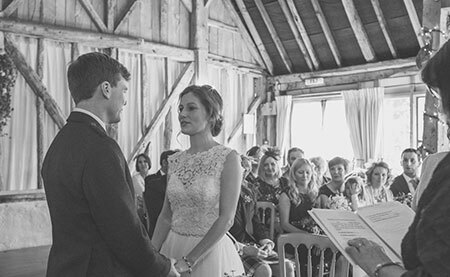 With exclusive use of the beautiful Barn, garden and grounds, you’ll be able to enjoy a wedding day that’s all about the two of you. Begin your Clock Barn experience by taking in the awe-inspiring landscape as you’re chauffeured down the long private driveway. Upon arrival, you can take advantage of our bridal preparation room, located at one end of Clock Barn it is an elegant secluded space which you and your bridal party can use to prepare for the ceremony. You can also use it throughout the day to freshen up, or change for the evening party. The stunning barn offers plenty of options for your ceremony, wedding breakfast, and evening party, and can be styled as you like. 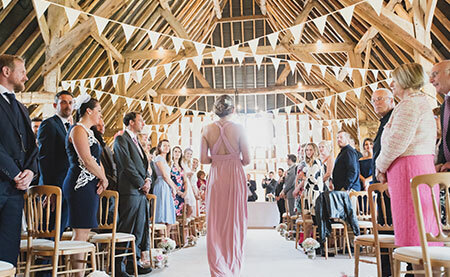 The fairy lights and bunting that adorn the barn mean the space is already perfect for a wedding, should you wish to leave it as it is. If it’s Clock Barn’s gorgeous grounds and historic clock tower that have captured your heart, why not take advantage of the space for your drinks reception or your wedding photographs? We’ll also ensure your wedding day is everything you’ve hoped for and more. Our Events Team will help you to create a tailor-made day with everything planned to perfection. 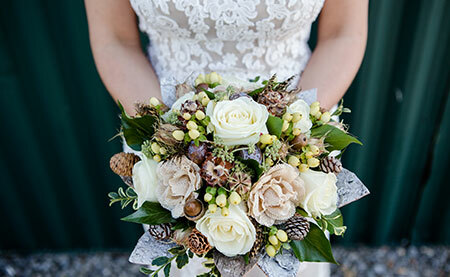 From your food and drink options, right through to the décor and layout of the barn, at Clock Barn, you have the flexibility to design your big day in your very own way. It was the first venue we saw and we knew it was 'the one'. It was simply stunning.